I had an imaginary friend for years. In some ways I think she never went away, but rather merged into my creative subconscious. 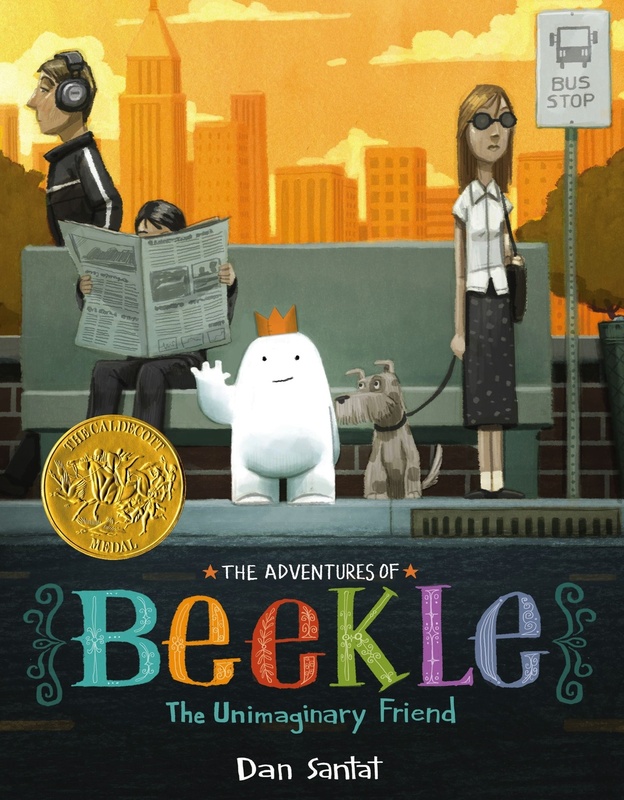 When Beekle isn’t called off to the human world by a child’s imagination, he decides he’ll just set out and find his own child instead. His initial impression of the human world is that everything seems… not quite right. The kids he sees aren’t stuffing themselves with cake, everyone is in a rush, and he isn’t quite sure there’s a place for him after all. But as is so often in both life and stories, right when he thinks he just might give up, the perfect friend comes along. 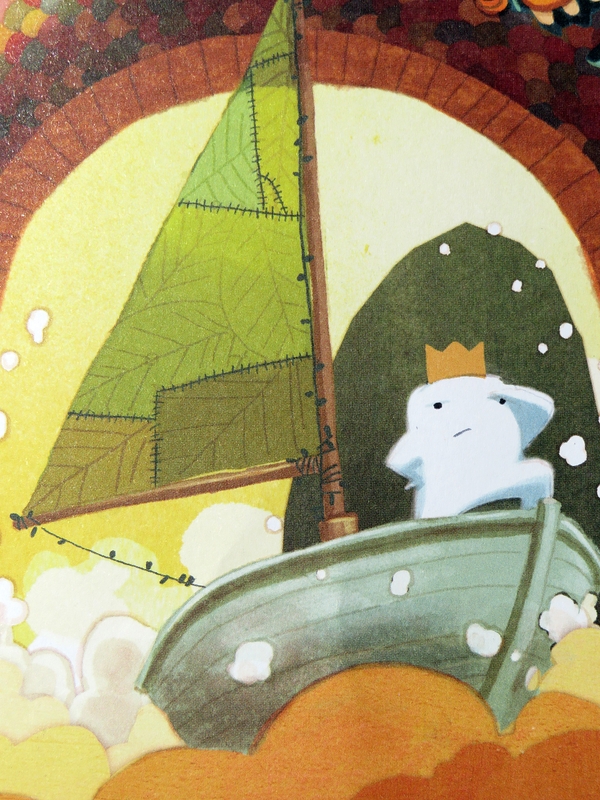 While I certainly enjoyed Beekle’s story, the art is what really swept me away with this book. The illustrations are vibrant yet easy on the eyes, with just the right amount of detail to keep you enjoying the pictures each time you see them. Dan’s art is everything about picture books that I love and remember from being a kid.